Marine Corps Air Station Futenma or MCAS Futenma (Japanese: 海兵隊普天間航空基地, Hepburn: Kaiheitai Futenma Kōkū Kichi)A (ICAO: ROTM) is a United States Marine Corps base located in Ginowan, Okinawa, Japan, 5 NM (9.3 km; 5.8 mi) northeastB of Naha, on the island of Okinawa. It is home to approximately 3,000 Marines of the 1st Marine Aircraft Wing and other units, and has been a U.S. military airbase since the defeat of the Japanese Imperial Army in the Battle of Okinawa in 1945. Marine Corps pilots and aircrew are assigned to the base for training and providing air support to other land and sea-based Marines in Okinawa and throughout the Asia-Pacific region. MCAS Futenma is part of the Marine Corps Installations Pacific command. For years, the relocation of the base has been a major political issue for Okinawa, Japan and the US military and diplomacy in Asia. Futenma Airfield was constructed by the US military following the Battle of Okinawa in 1945. According to Ginowan City records, the joint population of what was then Ginowan Village (now Ginowan City) was 12,994 in 1944. [citation needed] It was initially allocated for Eighth Air Force use to station B-29 Superfortress strategic bombers in the planned Invasion of Japan. With the end of the war, the airfield became a United States Air Force Far East Air Force installation known as Futenma Air Base, and was used as a support airfield for the nearby Kadena Air Base, hosting fighter-interceptor squadrons as part of the air defense of the Ryukyu Islands. The base was transferred to the United States Navy on 30 June 1957 and was subsequently developed into a United States Marine Corps air station. Futenma's 75 m elevation provides a safe and effective location to provide humanitarian assistance and disaster relief operations in the event of a tsunami, which would render the sea-level Naha international airport inoperable . The 9,000 ft. runway also gives the capability of safely landing the largest commercial and military cargo planes in the world, including the Antonov An-124 Ruslan, which has landed at Futenma multiple times. Futenma has a high record of safety with well established procedures. The airbase has become a focal point of various political controversies in recent years. Due to population growth and encroachment around the base, concerns surrounding flights over residential areas causing noise, air pollution and endangering public safety also became controversial issues in Ginowan City. Safety concerns were raised after the August 2004 crash of a Marine Corps CH-53D transport helicopter on the campus of Okinawa International University after the aircraft suffered mechanical issues. Three crew members had minor injuries, but there were no injuries on the ground. The Guardian has stated that the location of MCAS Futenma in Ginowan "would be like having F22s landing in Hyde Park [in London]." Marine Corps Air Station Futenma and the town of Ginowan, Okinawa. The base, along with its impact on families living nearby and local cultural heritage, are the subject of the short story collection To Futenma by Okinawan author Tatsuhiro Oshiro. There have been various plans to relocate Marine Corps Air Station Futenma base—first off the island and then within the island—however, as of November 2014[update] the future of any relocation is uncertain with the election of base-opponent Onaga as Okinawa governor. Onaga won against the incumbent Nakaima who had earlier approved landfill work to move the base to Camp Schwab in Henoko. However, Onaga has promised to veto the landfill work needed for the new base to be built and insisted Futenma should be moved outside of Okinawa. In August 2015, the Japanese government agreed to halt construction activities temporarily while talks with Okinawan officials continued. US sources insist nothing about their approach has changed. 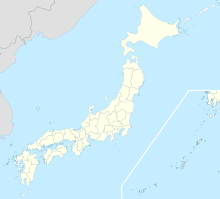 A.^ In the Japanese language MCAS Futenma is formally known as: Kaiheitai Futenma Kōkū Kichi (海兵隊普天間航空基地), more commonly as: Futenma Hikōjō (普天間飛行場), and is commonly abbreviated in speech and writing as: Futenma Kichi (普天間基地). B.^ The text version gives a runway 2,740 by 45 m (8,990 by 148 ft) and the aerodrome chart gives 9,000 by 150 ft (2,743 by 46 m). ^ a b United States Marine Corps (2012). 海兵隊普天間航空基地 [Marine Corps Air Station Futenma] (in Japanese). Retrieved 2012-05-25. ^ United States Marine Corps (2012). 海兵隊普天間航空基地 [Marine Corps Air Station Futenma] (in Japanese). Retrieved 2015-07-18. ^ City of Ginowan (2012). 平成23年版　宜野湾市統計書 [Statistics of Ginowan City, 2011 ed.] (in Japanese). Ginowan, Okinawa Prefecture. Archived from the original on 29 July 2012. Retrieved 25 May 2012. ^ airportnavfinder.com (2012). "ROTM: FUTENMA MCAS". USA. Retrieved 2013-01-21. ^ "普天間飛行場 (Futenma Hikōjō)". 日本歴史地名大系 (Nihon Rekishi Chimei Taikei) (in Japanese). Tokyo: Shogakukan. 2012. Archived from the original on 25 August 2007. Retrieved 2012-05-25. ^ japanupdate.com (2013). "Futenma's Flightline Fair kicks off Saturday". Okinawa. Retrieved 2014-02-19. ^ Case, Elizabeth (2013). "Flightline Fair showcases military aircraft". Okinawa. Retrieved 2014-02-19. ^ a b Eldridge, Robert (3 February 2012). "Okinawa Base Problem Today". nippon.com. Retrieved 24 January 2014. ^ Flynn, Daniel (22 May 2008). "Giant Plane delivers simulator". military.com. Retrieved 24 January 2014. ^ Rostran, Natalie (28 June 2013). "Antenove at Futenma". www.mcasfutenma.marines.mil. Retrieved 24 January 2014. ^ "普天間飛行場 (Futenma Hikōjō)". Dijitaru daijisen (in Japanese). Tokyo: Shogakukan. 2012. Archived from the original on 25 August 2007. Retrieved 2012-05-25. ^ Hearst, David (2011-03-07). "Second battle of Okinawa looms as China's naval ambition grows". the Guardian. ^ Young, Alvin L. (January 2013). "Investigations into Allegations of Herbicide Orange on Okinawa, Japan". Office of the Deputy Under Secretary of Defense (I & E). Retrieved 14 March 2013. ^ Case, Elizabeth (4 April 2013). "Okinawa, US strengthen friendships via cleanup efforts". www.mcipac.marines.mil. Retrieved 24 January 2014. ^ Case, Elizabeth (27 June 2013). "Ginowan, Futenma officials sign agreement specifying disaster preparedness procedures". www.mcipac.marines.mil. Retrieved 18 July 2015. ^ Nakazawa, Yudai (16 March 2012). "Okinawan author Tatsuhiro Oshiro: Okinawa and disaster-struck Tohoku region sacrificed for Tokyo". Mainichi Shimbun. Retrieved 1 November 2016. ^ "Okinawa US base move in doubt after governor elections". BBC. 16 November 2014. Retrieved 17 November 2014. ^ "U.S. base relocation opponent elected Okinawan governor". Japan Today. 17 November 2014. Archived from the original on 16 November 2014. Retrieved 17 November 2014. ^ "US military helicopter crashes off Okinawa in Japan". BBC. 12 August 2015. Retrieved 14 August 2015. ^ "Futenma Hikōjō no kinō to yakuwari (普天間飛行場の機能と役割)" [Funtenma Airport, functions and duties] (in Japanese). Retrieved 2012-05-25. This article incorporates public domain material from websites or documents of the United States Marine Corps. This article incorporates public domain material from the Air Force Historical Research Agency website http://www.afhra.af.mil/. "Report by the American Congress research service about Futenma, January 2016" (PDF). Wikimedia Commons has media related to Marine Corps Air Station Futenma. The Futenma relocation issue Detailed list of events on the Japanese Wikipedia.